The 2011 Disney World Marathon is still over 7 months away, but there is an activity that you can participate in NOW! 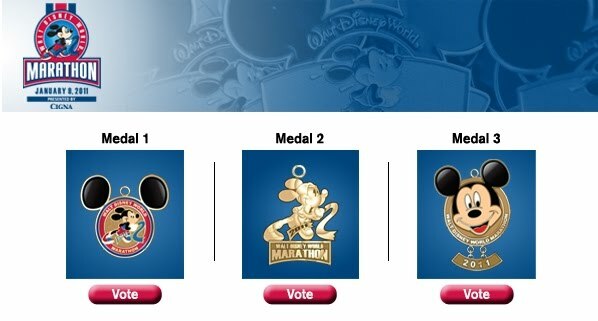 Vote for your favorite Mickey Mouse Finisher Medal Design for the 2011 Disney World Marathon that will be held on January 9, 2011. The winning medal will be chosen by voter choice. 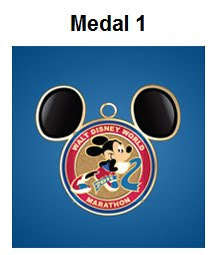 The Mickey Mouse Medal is the symbol of the premier event in the Disney Endurance Series: the Disney World Marathon. All 3 medals are different and each adds its own personality and flair. I cannot telll you which one to vote for, but I can tell you how to vote. 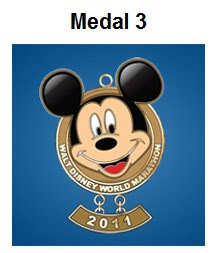 Follow this link to the official Disney site to vote for: 2011 Disney World Marathon Medal Choice. When Disney World holds its annual marathon, the event has become so popular it has expanded to an entire weekend. The Disney World Marathon was the 6th largest marathon in the U.S. in terms of finishers in 2009. The weekend includes seminars & clinics, a 5K race, a Half Marathon, and a Marathon. For more details visit the official Disney World Endurance Series site at: 2011 Disney World Marathon Weekend. 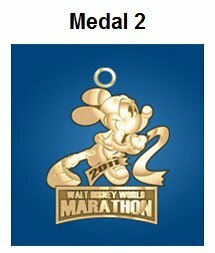 0 comments to "2011 Disney World Marathon Is Letting You Vote For The Medal Design"